YouTube’s #1 star has just jumped ship. On April 9, PewDiePie announced that he would be partnering with Dlive for exclusive content. PewDiePie, AKA Felix Arvid Ulf Kjellberg, is a Swedish streamer who is the most-followed creator on YouTuber, with nearly 94 million followers on YouTube. DLive is a blockchain-based live streaming platform. DLive is a live-streaming service that is powered by the Lino blockchain network. The Lino Network describes itself as a “decentralized autonomous video content economy” with the intent of creating a “value-sharing content economy”. The service claims over three million monthly active users, at present. The premise is that the videos will be uploaded onto a secure blockchain network, with monetisation coming through user donations. In this network, the cryptocurrency of choice would be Lino tokens. PewDiePie highlighted the fact that DLive takes “zero cuts” from the donation – but this is not entirely true. DLive’s own user agreement states that it takes 9.9 percent of each donation and puts it in a “pool”. This pool is similar to a fixed deposit scheme, where users lock in a certain amount of money which then earns an interest rate over time. The more popular DLive becomes, the higher this eventual interest rate. If users want to withdraw their pool token, the amount will be reimbursed over a period of 12 weeks. The Lino Network is a San Francisco based start-up that was founded in 2017. In 2018, it raised $20 million from the Chinese venture capital firm Zhenfund. The same year, DLive was started as the network’s first service. The move comes after years of controversy for PewDiePie on YouTube, which included multiple instances where he was banned, demonetised (ie prevented from running paying ads on his channel), or vilified for content he shared on the platform. In recent times, the channel has gained notoriety for its rift with the Indian record label T-series, which is currently the world’s second most-subscribed-to YouTube channel. Over several months, PewDiePie has conducted multiple campaigns to prevent his channel from being upstaged by T-series as the number one – including recording diss tracks against the latter. On April 11, the Delhi High Court ordered YouTube to takedown three of these diss tracks, one of which had over 180 million views at the time of its takedown. PewDiePie’s most notorious moment came with the Christchurch shootings. During the shooter’s livestream, viewers were asked to “subscribe to PewDiePie”. The incident generated immense condemnation, including by PewDiePie, and resulted in a petition to block PewDiePie for “normalizing white supremacy”. The petition earned nearly 70,000 signatures, and PewDiePie’s wrath. 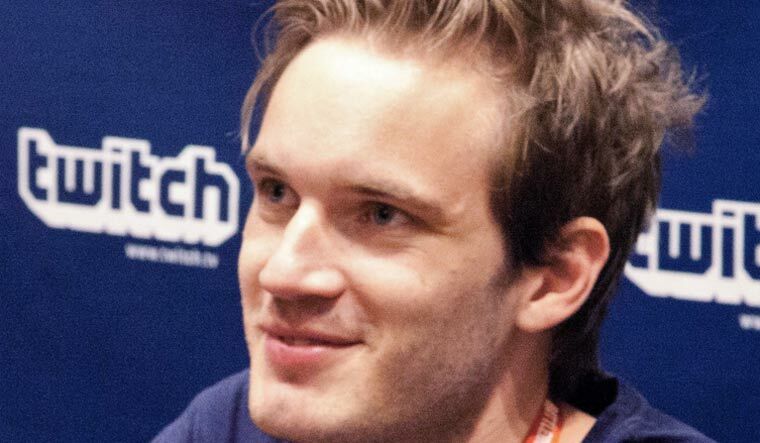 While PewDiePie is the most-followed celebrity on YouTube, he is not its most profitable. According to a Forbes list of the highest-paid YouTubers, the Swedish gamer ranks at #9. The #1 spot belongs to Ryan ToysReviews – a seven-year-old boy who makes video reviews of his toys.